Posted on August 25, 2017 by Joyce DeFrancesco in Relaxation. Air travel stressing you out? Looking at a long flight (like the Pittsburgh Symphony members who are flying to Europe today for the 2017 European Festivals Tour)? Check out this Spotify list of relaxing flight music to make your air travel more enjoyable. Heading out on a summer road trip? Classical music makes a great playlist! Posted on August 14, 2017 by Joyce DeFrancesco in Miscellaneous, Relaxation, Uncategorized. Getting ready to head out for one last adventure this summer? 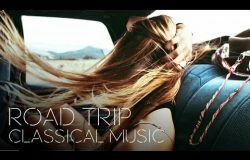 Classical music is a great option for your road trip. Pick big, bold music (like that listed on this Classical MPR playlist post), and get ready to rest, recharge and explore exciting locations – with a playlist of classical masters to match! Posted on August 8, 2017 by Joyce DeFrancesco in Exercise and Sports, Miscellaneous. Copyright © 2019. All Rights Reserved. 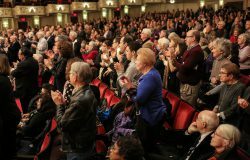 Pittsburgh Symphony Orchestra. Disclaimer: The information on this website is meant for educational purposes only. It is not a substitute for the advice of a medical professional. The PSO is not responsible for outcomes resulting from the use the information on this website or linked websites. Although the PSO makes every reasonable effort to provide accurate and thorough information on this website, it cannot guarantee the completeness or timeliness of this information.